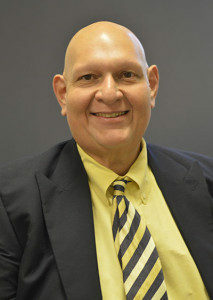 Two Mercedes residents, who consistently attend city commission meetings, filed necessary paperwork to challenge Commissioner Ruben “Chano” Guajardo for his seat in the upcoming May election. Guajardo seeks a fifth term on the commission. Jose Gomez, a former two-term commissioner and Lucy Delgado, a political newcomer, filed to seek the Place 4 seat held by Guajardo. “There’s a lot of positive things that are happening in our community, and I just want to make sure the leg work that we’ve been putting in all these years continues,” Guajardo said, noting the commission is in the process of establishing a city-run ambulance service. Guajardo touted interlocal agreements between the city of Mercedes and Hidalgo County, which will improve drainage benefiting the city. Gomez, though, believes the commission, and the city as a result, has not been transparent for its citizens. Particularly, he said, the commission did not disclose why the city paid an attorney to represent Commissioner Leo Villarreal in a lawsuit former City Manager Richard Garcia filed against Villarreal, Guajardo, Mayor Henry Hinojosa and the city of Mercedes in May 2017. The former city manager accused the three elected officials of meeting at a restaurant in March 2017, before Villarreal was elected, to discuss firing him. The former city manager contends the city commission fired him in 2017 “as a ploy to deflect criticism” to “appease the angry citizens,” who were concerned about the city apparently inadvertently paying the utility bill of the Texas Valley Community Foundation, a non-profit organization, “to have a semblance of transparency.” Attorneys representing the city in November 2018 requested the lawsuit be dismissed, but it remains unresolved in court. Gomez, who runs an upholstery business, believes the city should not pay an attorney to represent Villarreal, an issue he is focusing in on during his campaign for commission. This marks the first time Gomez challenges Guajardo. Gomez, who regularly attends meetings and speaks during public comment, previously held the Place 1 seat held by Villarreal. In 2017, Gomez did not seek re-election for the Place 1 seat and instead ran an unsuccessful bid for mayor. “Without transparency, you don’t have accountability, and without accountability you don’t have prosperity,” Gomez said. Like Gomez, Delgado, who works for an undisclosed company contracted by the U.S. Department of Homeland Security, also noted current leadership’s lack of transparency. “I lack confidence in the current leadership,” Delgado said. In September, the Mercedes City Commission received backlash for leaving the chamber upon the adjournment of a city meeting, while Lauren Pitts, 19, attemped to speak about lack of lighting on a Mercedes roadway, where her friend was struck by a driver. He later died at a hospital. In the video, Delgado, attending the meeting, was seen telling Pitts to speak to the audience since commissioners had departed the room. Delgado said Guajardo and Gomez already had the chance to improve the city during their tenures as commissioners. The deadline to apply for a place on the ballot to run in the May election is Friday, Feb. 15. “If I’m unseated, and they’re fortunate to be elected, I wish them the best of luck to move our community forward,” Guajardo, the incumbent, said. At least three candidates have submitted their paperwork to run for the Place 2 seat currently held by Commissioner Howard Wade. Wade has not filed to run for re-election.